The National Institutes of Health award, which is the largest single grant the university has ever received, will fund BUILD@CSUN, an ambitious attempt to change the way traditionally underrepresented minority students are mentored and trained as they set off on a career path as biomedical researchers. Read more about the grant-funded program. Tyler Dorrel made it to the big leagues interning for the Dodgers on their medical staff before completing his graduate program in physical therapy at CSUN. Read more about Dorrel's internship. Mariachi, conjuntos, ballet folklorico and so much more helped commemorate the anniversary for the Chicana/o Studies program. Read more about benefit event. Sun., Nov. 2, 2 p.m.
Wed., Nov. 5, 7:30 p.m. Thur., Nov 6, 6 p.m.
CSUN economics professor Glen Whitman and finance professor James Dow will provide their apocalyptic economic expertise when they discuss their book, Economics of the Undead: Zombies, Vampires and the Dismal Science. Multiple CSU campuses from up and down the state have joined forces to bring you an evening of networking with fellow CSU alumni at Madera Kitchen in Hollywood. 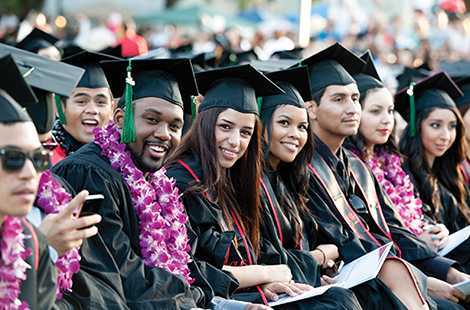 Come hear what CSUN alumni have to share about career paths in early childhood education.